Sean "P. Diddy" Combs performs during the halftime show at Super Bowl XXXVIII between the New England Patriots and the Carolina Panthers at Reliant Stadium on February 1, 2004 in Houston, Texas. Now he's making a case to purchase the Panthers. 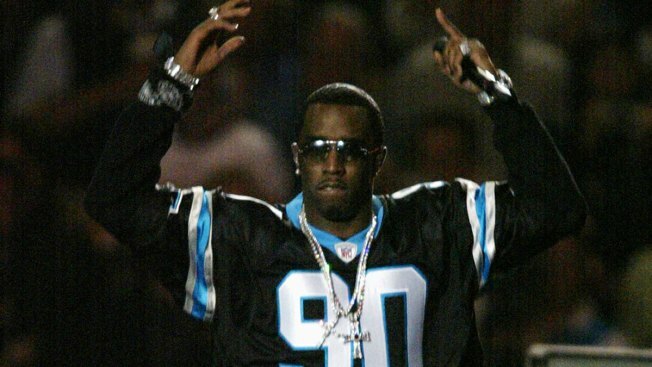 If NFL owner Jerry Richardson is looking for potential suitors for his upcoming sale of the Carolina Panthers, Sean 'Diddy' Combs wants him to look no further. Richardson announced over the weekend he would be placing the team for sale at the conclusion of the NFL season. Richardson has been under fire in recent days following an ongoing investigation that accuses him of sexual misconduct and using racist language at work. "I believe it is time to turn the franchise over to new ownership," Richardson wrote, saying he wouldn't begin discussions until after the season. The Panthers, who lost in the Super Bowl two seasons ago, are in playoff position again. "I hope everyone in the organization, both on and off the field, will be firmly focused on one mission: to play and win the Super Bowl," said Richardson, 81. In a video posted to Instagram, Combs says as an NFL owner he would immediately tackle one hot button issue that has engulfed much of the NFL's season. "I will be the best NFL owner that you can imagine. I will immediately address the Colin Kaepernick situation and put him in the running for starting quarterback. It's just competition baby. Also I will have the best halftime show the best selection of music and we will win Super Bowl after Super Bowl." After taking to Twitter to express his ownership desires, Combs got support from at least one NBA superstar, the Golden State Warriors' Stephen Curry. It didn't take long for word to reach Kaepernick, who said he wanted in as well.